Earlier today I made a public plea for the collective paring down of wallets, billfolds, and other male-oriented leather portefeuille. After hearing some comments and concerns from friends about where to put cash (I hadn’t even thought of that! ), I did some research on money clips. Typically made of metal in the rough shape of a folded strip of paper, money clips contrast with card cases in that they’ve been around forever, and have a steady following with proper gentlemen. My dad has one, and any dandy fellow you meet from the South or preppy North may have one too. I’m usually all for cutting your clutter and using fewer implements for more functions, but in this case, style wins. 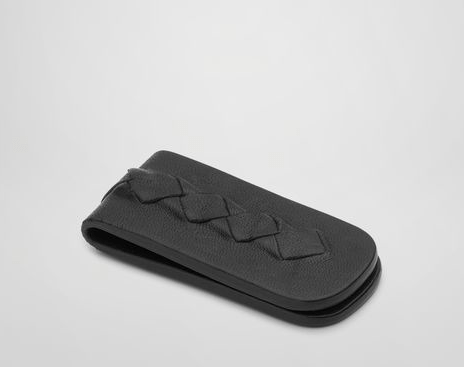 Bottega Veneta Nero Intrecciato Nappa Money Clip, $180, Bottega Veneta; If you like woven leather, this is a simple choice. Black works with everything. And despite its size, I bet it still smells amazing, and will make your money smell great too! Paul Smith Copper Alloy Money Clip, $75, MR PORTER; modern silver lines with a touch of whimsy on the tip with enamel detail. If you like a little flash of color, this one would work fine. 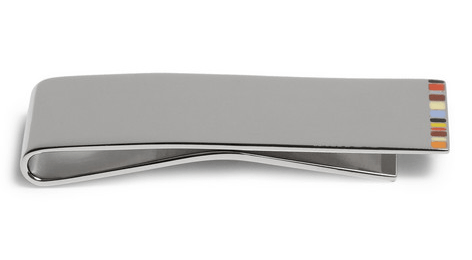 David Yurman Chevron Sterling Silver Money Clip, $295, David Yurman; like a fine piece of jewelry, this one. 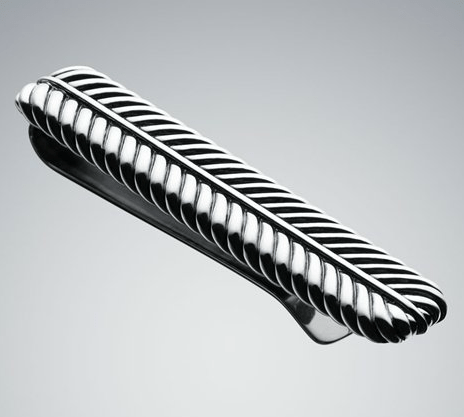 David Yurman’s rings and bracelets are distinctive and highly-sought…and a man’s money clip should be no different. The wearer and those nearby will certainly catch a glint of sparkle from this finely contoured piece. Money clips may too have a moment in the trendy spotlight in the coming seasons. The tie bar, another dandy throwback, has bounded to prominence in menswear in the past year. Why not the money clip? I would be happy to own any of these money clips…and happy to carry around a twenty just to use them! If you have the dough, these are a great complement to the card cases I posted earlier.